The Spring 2019 Season Begins in April! Register Now to Secure Your Spot! Please note that our Spring 2019 season is completely SOLD OUT! Any registrations made at this point will be placed on our waiting list. Early bird registration before December 31, 2018 is only $180 per player. Regular registration after January 1, 2019 costs $210 per player. 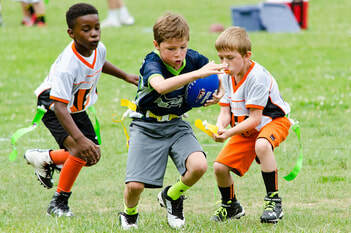 All teams are placed into divisions by grade level groupings. Teams are also balanced according to age and year of experience. Each division has at least 8 games, including playoffs and a Superbowl champion with individual medals for each player from the winning team. 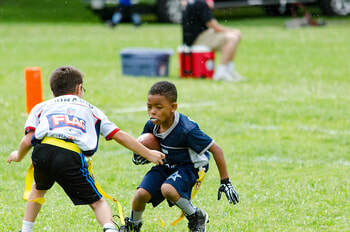 All games are less than 1 hour and will take place on Sunday afternoons between noon and 3pm at Daly Field starting on April 7 and finishing on June 16, 2019. Sign up an individual player for our spring 2019 season now!